Andrew Lownie Literary Agency :: Book :: The Hollow Crown: : The England Cricket Captaincy from 1945 to the Present. The Hollow Crown: : The England Cricket Captaincy from 1945 to the Present. The captain of the England cricket team is one of the most prestigious positions in the country, coveted by almost all cricketers of repute. Yet alongside the honour, there goes the responsibilities and the pressures. This book looks at the changing nature of the England captaincy from Walter Hammond in 1946 to Joe Root at present, charting the transition from amateur to professional captains, and to the more recent dual role of captain and coach. Rather like the powers of the British prime minister, the authority of the England cricket captain depends to a large degree on personality and circumstance. By looking at each and every captain chronologically, I examine their personal background and style; their strengths and weaknesses, drawing particular attention to the failure of a number of them to communicate, and the record of the teams they led. 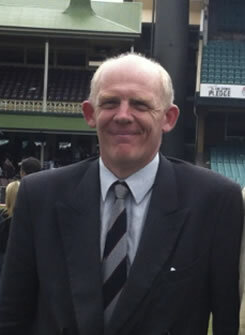 While some captains such as Len Hutton, Peter May, Ray Illingworth, Mike Brearley, Michael Vaughan and Andrew Strauss stand out as more successful than others, the office imposes considerable strain on almost all of them, given the power of the press, the need to perform personally and the arduous international schedule. Rather like prime ministers, most captains expend their political capital and leave more diminished than when they began. Between 1966 and 1989, every captain except Brearley was sacked. Now, in a more professional set-up, they tend to survive rather longer, suggesting that, at a time when national leadership is in short supply, the quality of England cricket captains is higher now than in yesteryear. Pitch Publishing have bought World English rights in Mark Peel’s next two cricketing titles - Cricketing Caesar: The Biography of Mike Brearley and ‘The Hollow Crown: The England Cricket Captaincy from 1945 to the Present.